WPP has agreed to acquire a majority stake in Cognifide Limited, a digital technology consultancy in the UK. Cognifide specialises in content management and digital asset management technology, helping companies and brands build capability through company-wide digital frameworks, to create, manage and optimise measurable digital experiences. 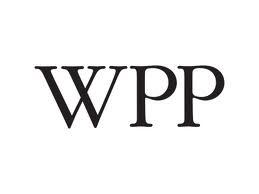 Cognifide will continue to operate as its own brand within WPP and will co-operate closely across WPP, particularly with the WPP Digital and Wunderman companies. Founded in 2005, Cognifide employs over 200 people and is headquartered in London with a major development centre in Poznań, Poland. Cognifide’s clients include leading companies from financial services, life sciences, media & entertainment and retail, including Allianz, Chivas, Direct Line Group, Euromoney, GSK, Investec, John Lewis Partnership, RBS, Shell, The Telegraph and Virgin Media. Cognifide’s unaudited revenues for the year ended 31 December 2013 were £8.8 million with gross assets of approximately £4.3 million as at the same date.